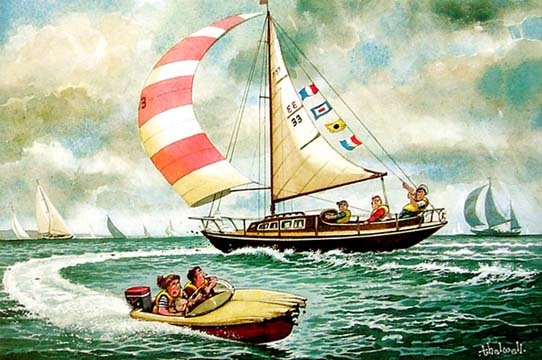 Norman Thelwell (3 May 1923 - 7 February 2004) was an English cartoonist well-known for his humorous illustrations. 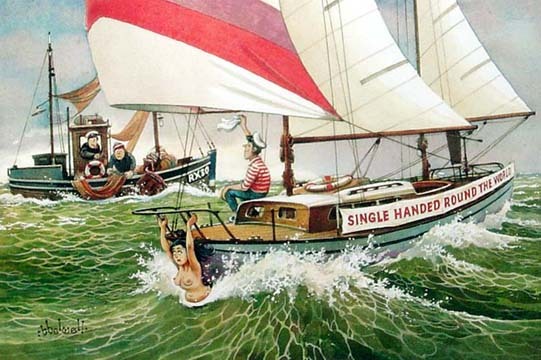 Born in Birkenhead, Cheshire, as a promising young student from Liverpool School of Art, he soon became a contributor to the satirical magazine Punch in the 1950s, and earned many lasting devotees by illustrating Chicko in the British boys' comic Eagle. Known to many only as Thelwell, he found his comic niche with girls and ponies refusing fences, a subject for which he became most well-known. His cartoons and drawings delighted millions. NB Please note that the framed option is available for delivery within the UK only.